Are you dreading that long move? Let the best in Madison long distance moving companies help! Contact us to get your move started. Above Average Moving is locally owned and mover managed. This means real expert advice and direct delivery service with the same movers along the journey. This also means you can relax knowing your belongings are in good hands with the most trusted in Madison long distance moving companies. Once we have you loaded, our movers have you delivered usually within 24-48 hours depending on how far you are moving. 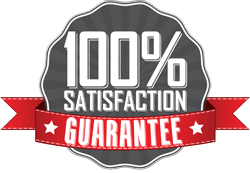 On top of that, we include an insurance evaluation of present value protection at NO added cost just to show you we stand behind our movers 100%. If time is not an issue, we can offer our full white glove service all the way from packing to unpacking. We can also supply cleaners to come into your home after loading and take care of the dirty work; even carpet cleaning! Call us today or get a quote from the one of the most experienced long distances moving companies from the best in Madison moving companies.